The trip to Nashville, much to Heather and Mr. K's dismay, was rather uneventful. We attempted to go downtown one night but ended up spending an hour and a half in traffic and when we finally arrived, the streets were completely packed. Apparently, there was a major concert that night. (Note to self: check the Nashville concert schedule before attempting to go downtown and avoid the city at all costs if there happens to be a One Direction concert going on next time.) There were so many people on the sidewalks, I didn't think it was safe to walk with two small dogs in tow so we found a relatively quiet corner where I could snap a quick photo before we hopped back into the car and headed back to the hotel, just 10-15 minutes from downtown...when no traffic is involved. 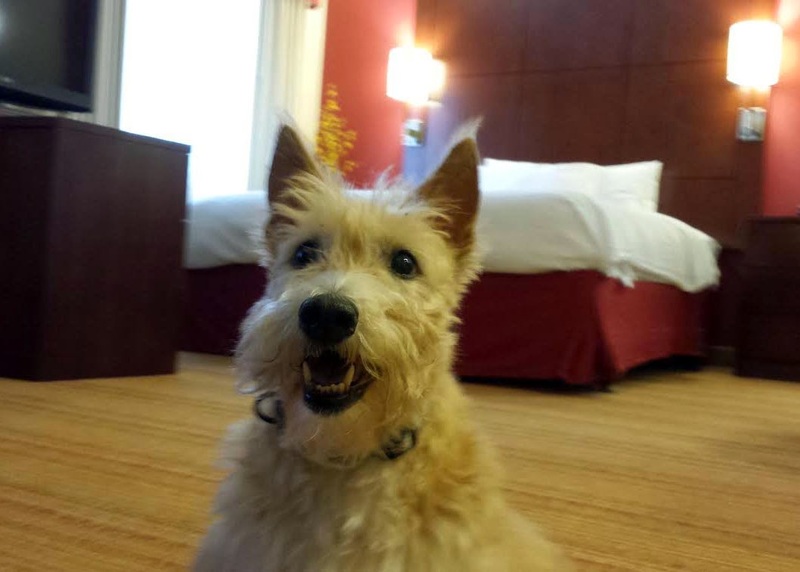 Here are a few snapshots from our stay at the Residence Inn in Brentwood, Tennessee. I would definitely recommend this hotel to anyone staying in that area. It is located in a beautifully maintained business park with plenty of green space and places to walk the dogs. 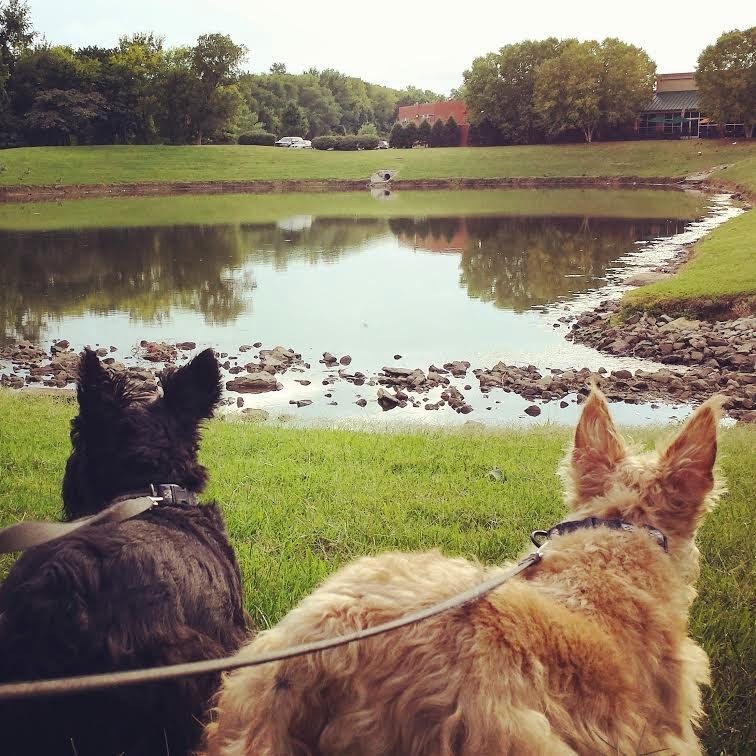 To have pets there, they require a $100 nonrefundable fee per stay but there was more than enough room for me and two Scotties (I could have easily had four or more with me comfortably - listen up, Scottie Dad!) plus there was a wonderfully scenic area just to the side of the hotel perfect for walking the dogs. Heather and Mr. K practically took me on a walk trying to get at all the geese surrounding the pond on the side of the hotel! 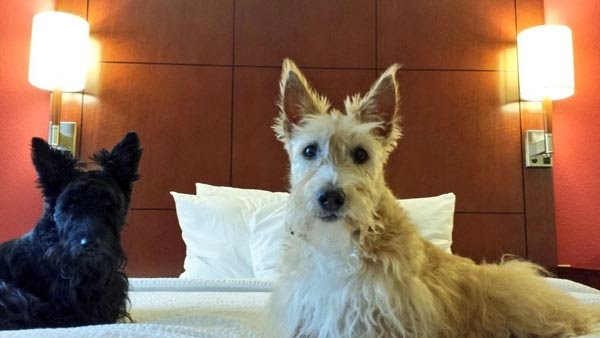 Which hotels have you found to be the most pet-friendly? It was all fun and games until someone had to go to work. Looks like a lovely place. 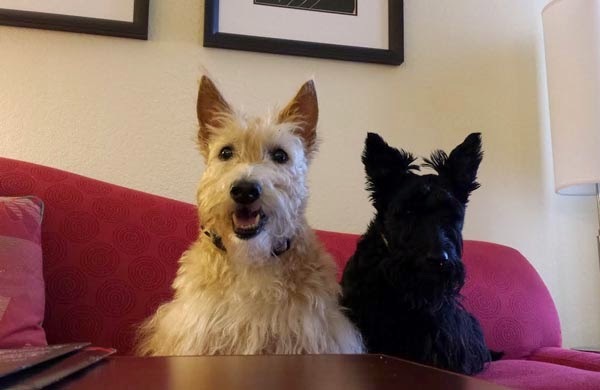 Love to see those cute Scottie faces! I hate the NON-refundable fee. 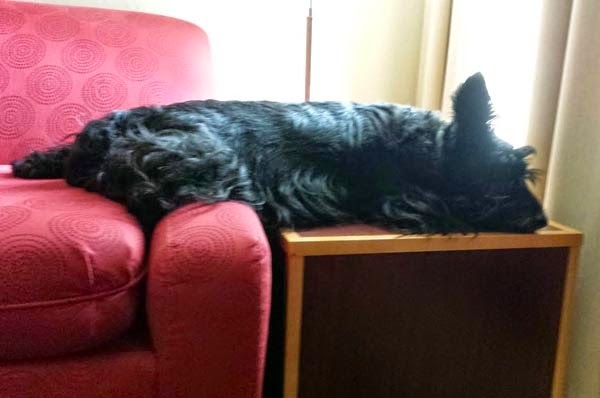 If the dog made no mess, no noise and didn't bother anyone-why shouldn't it be refundable? That hotel won't sucker us in. About the concert. You could clear out the entire area if you started a rumor that the concert acts are stuck in Albuqueque with airplane trouble and the substitute tonight will be the Vicksburg Symphony Orchestra. One Direction is allowed in Nashville? That hotel looks good. Hope the dogs ordered room service. 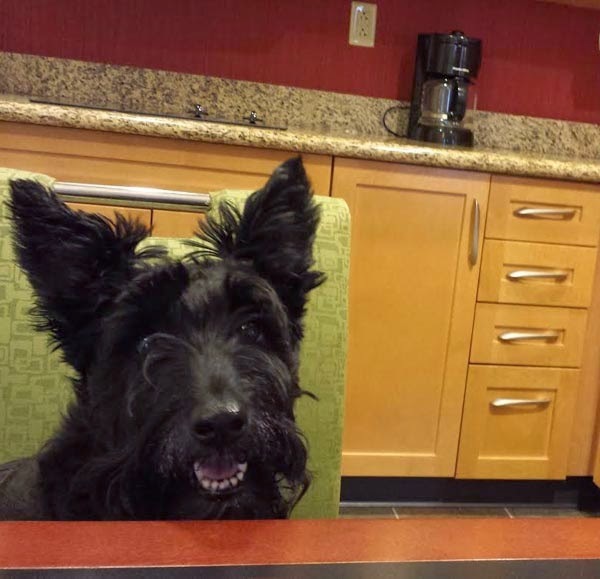 I have always found the Hampton Inns to be dog friendly and they have always refunded my dog fee. Traffic is always a problem for me getting home when country acts are preforming at Riverbend in Cincinnati. Looks like a 5 star doggie hotel! Do you know if they have a weight limit? 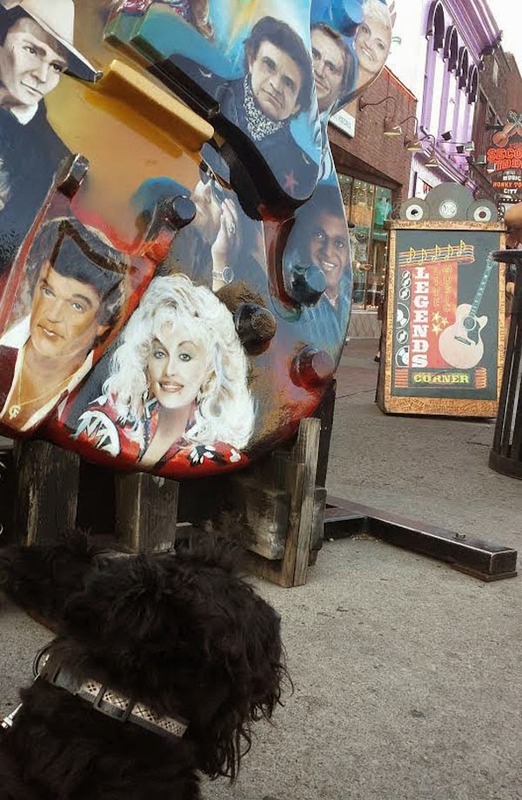 We're thinking about going to Nashville soon. Would be nice if we could take Chewie with us. We haven't traveled at all. It is sad that they will not refund the fee for good dog visitors. If we make a mess, they should keep the money. if we are good residence, our people should get the fee refunded. Baa Humbug to them.